Hi! 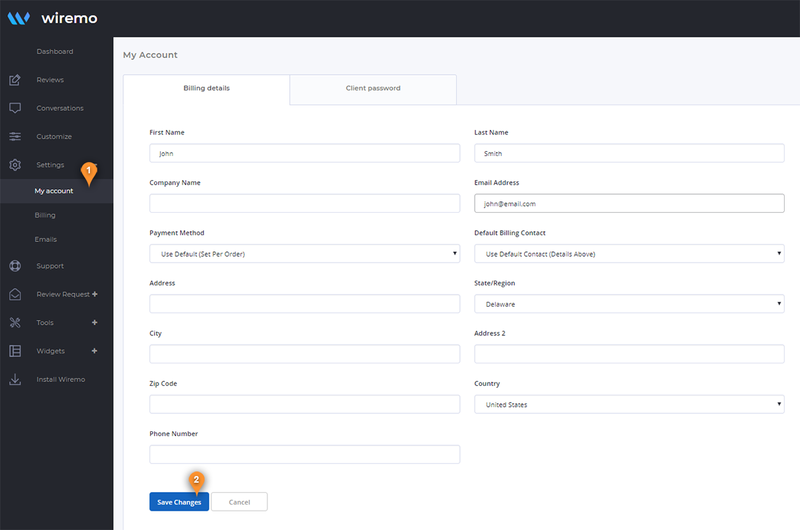 In this short tutorial, we will explain you how to update your billing details in Wiremo Dashboard. To update your billing details, please login to Wiremo Dashboard, go to “Settings” and then click on “My account” (pin 1). Now, in the "Billing details" tab you can fill out your billing details! Once you are done with updating your billing details, press the “Save Changes” button (pin 2).